has a unique aspect and provide service based on the concept. 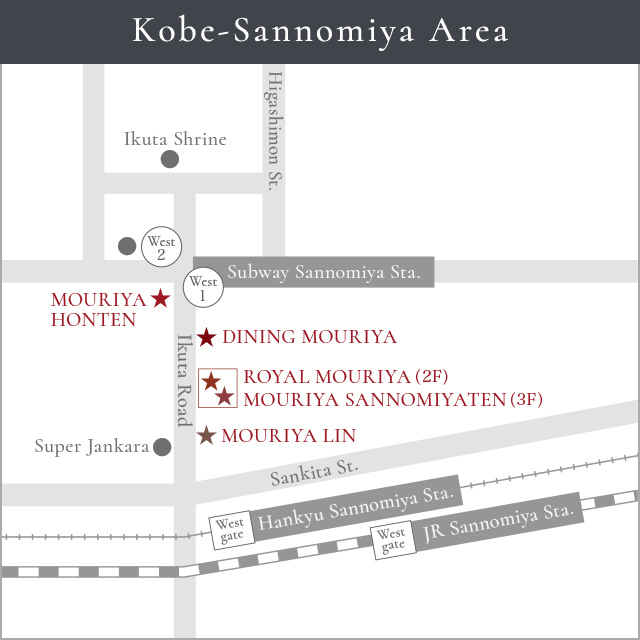 the rest of the 5 restaurants are all within 30 seconds walking distance from each other. 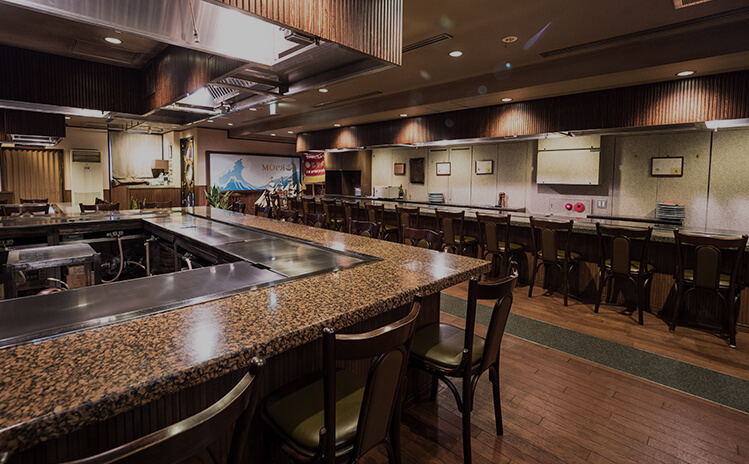 which makes it easier for customers to enjoy the different atmospheres of each restaurant. The Mouriya flagship store. The stone and wooden interior give off a dignified feeling. 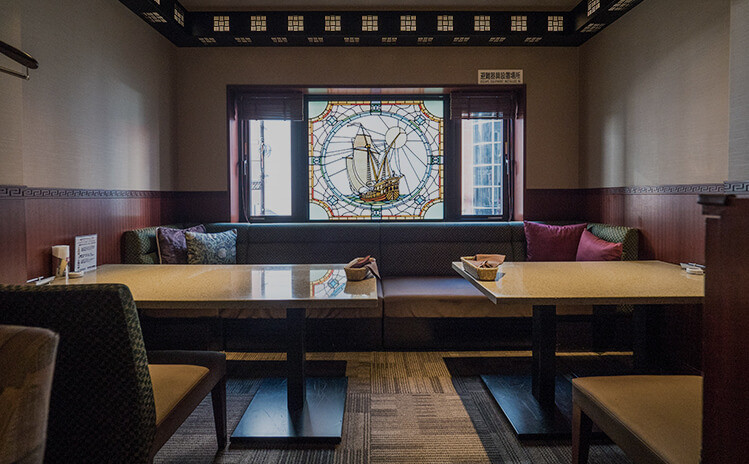 You can feel the history of Mouriya while dining there. We promise that our first time customers will be ”moved” from their experience here. 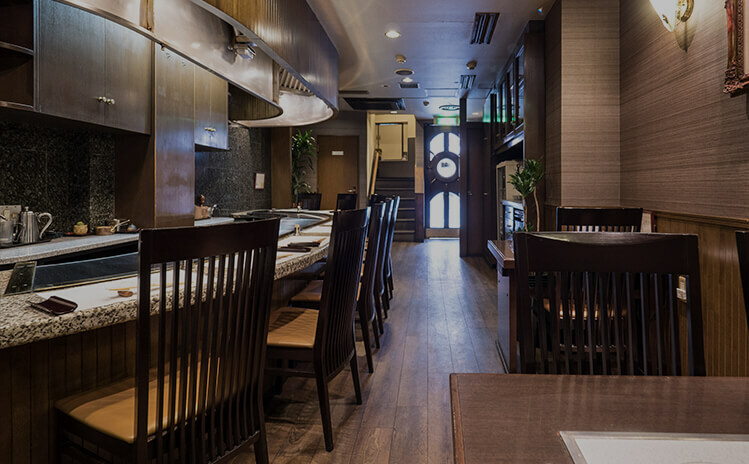 The floor boasts a total of 40 seats on one floor, which is the largest among our restaurants. Families and bigger parties can relax and enjoy themselves in this spacious location. 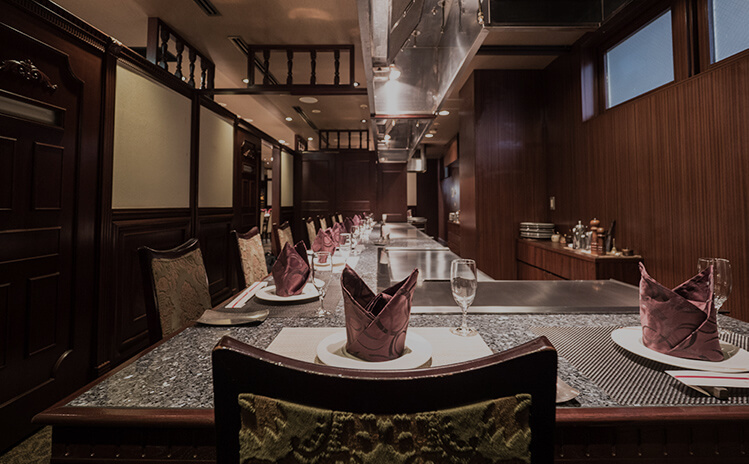 A private room with an elegant atmosphere for teppanyaki. Perfect for special events or business dinners. 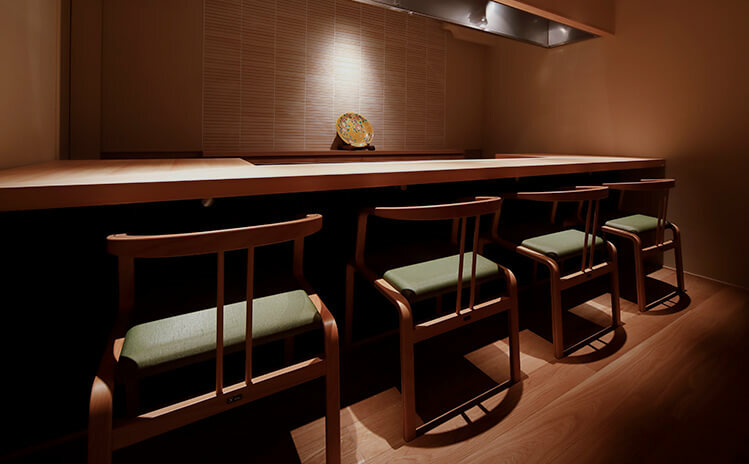 A casual restaurant with table and sofa seats. Recommended for groups with children. 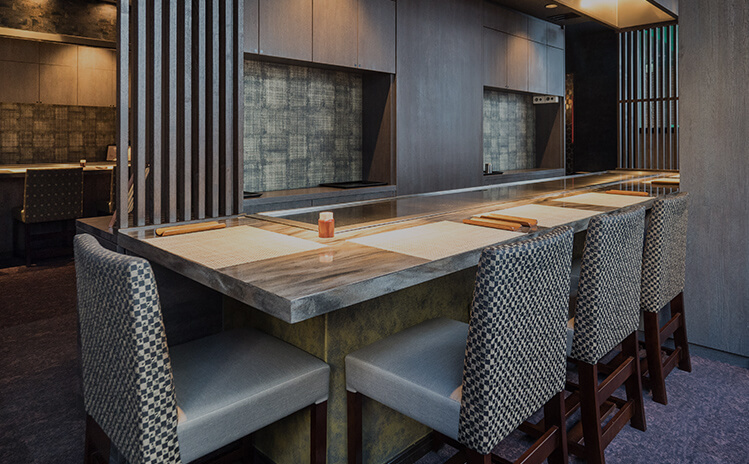 You can enjoy a meal in Modern-Japanese teppanyaki style. 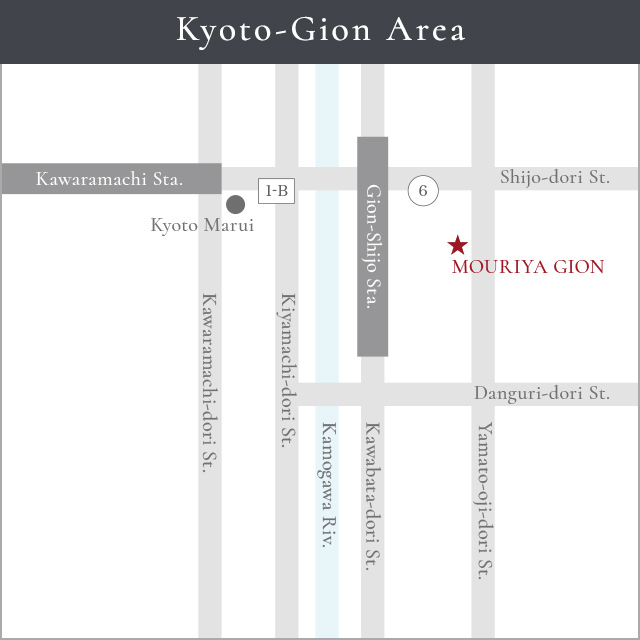 Dine on authentic Kobe beef in Kyoto, the ancient capital Japan is proud of, in the best ambiance. For reservations each Mouriya locations.